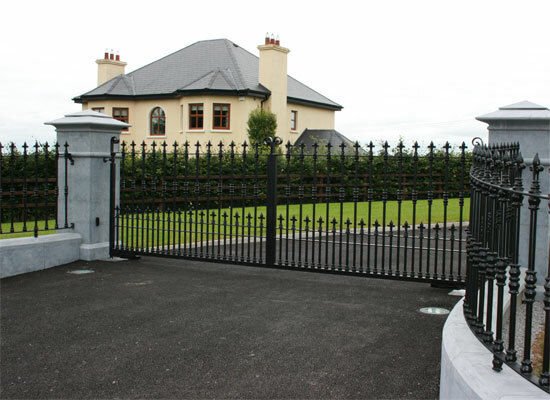 Wrought Iron and Steel Gates. 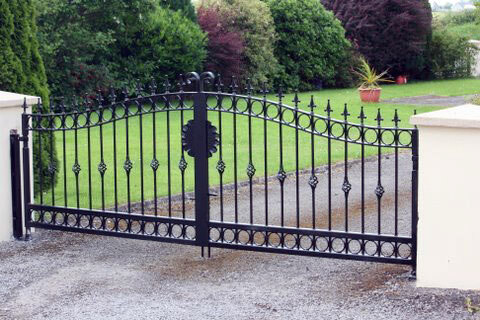 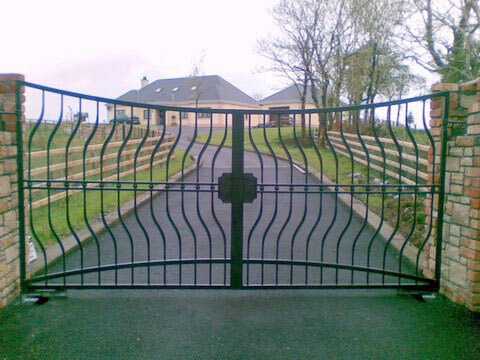 At C&S Engineering all of our Wrought iron gates are custom made to suit customer requirements and we can match any design, or design gates so suit a particular project. 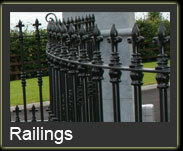 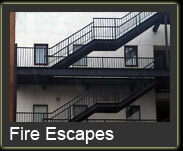 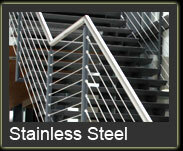 All of our gates are galvanised and are finished to required colour. 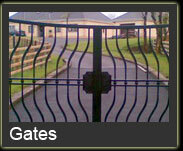 The gates can be painted or powdercoated depending on customer requirements. 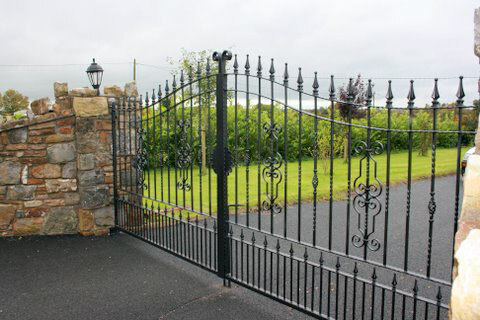 Wrought iron entrance gate with arched top. 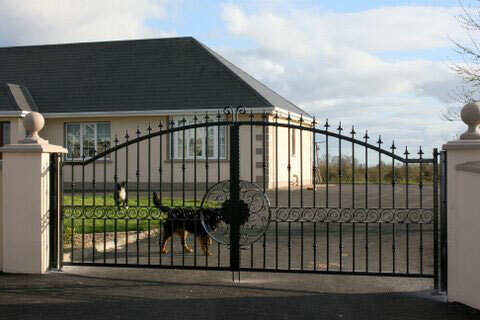 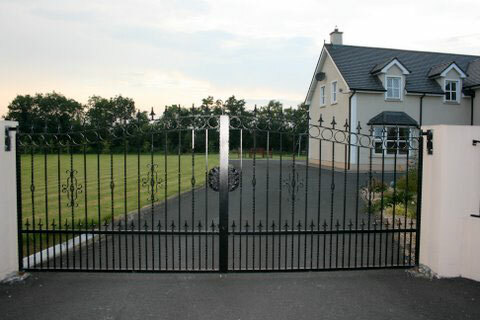 Shaped wrought iron gates with convex top.